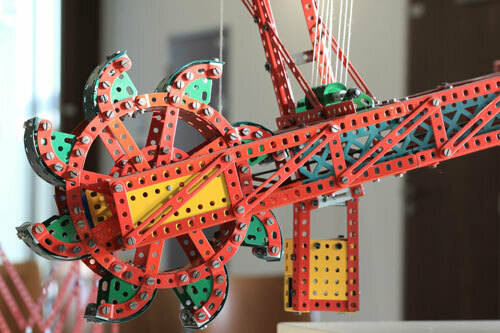 Educational Toy History: Did The Erector Set Copy Meccano? Educational toys are preferred by ambitious parents looking for an edge. Their recent history is marked by upheaval, mimicry, and bloodthirsty competition. Hey all, Ernie here with a fresh piece from Andrew Egan, who wants to talk seriously about toys for a little bit. Oh, and The Sandlot, which is a great movie. Today’s GIF comes from an old commercial for erector sets. The age, in years, of the oldest object believed to be a toy. The object in question, a stone doll head, was found on the Italian island Pantelleria in 2004 along with a set of miniature kitchenware. Though dolls of a similar age had been found elsewhere, the Italian example was found removed from ceremonial sites, leading some archeologists to believe the doll was used as a toy rather than a religious artifact. In season seven of the 2000s Friends replacement, How I Met Your Mother, the narrator Ted notes how the smartphone killed the bar room debate. Where his friend group once intensely argued about the most popular food, they could now learn that the answer is simple, boring bread. What’s the world’s most popular beverage? Water. What’s the world’s oldest toy? The stick. This off-the-hip sort of inclusion is surprising because the National Toy Hall of Fame is part of Rochester, New York-based The Strong, a well endowed educational institute dedicated to the study of play. The institute also hosts the National Museum of Play, which directs the Toy Hall of Fame. This is a serious operation with thousands of extensively cataloged toys, games, and more that span centuries and countries. If there is an American authority on the history of toys and playtime, it can be found among the various entities of The Strong. But the National Toy Hall of Fame was originally founded across the country, housed in the familial home of an icon of the American toy industry. Would the stick have been included in the house that tiny steel girders built? For the second time this year, Tedium needs to talk about A.C. Gilbert. The height, in feet, of the world’s largest Erector Set tower. A part of A.C.‘s Backyard or The Inventor’s Yard at the Gilbert House Children’s Museum, the Erector Set tower is interactive and includes a viewing platform and two slides, one of which is two stories high. A.C. Gilbert, the man who erected the Erector Set. We talked about A.C. Gilbert a couple of months ago when we got curious where modern magic kits came from. While Gilbert is undoubtedly the pioneer of modern mass-produced magic, his life is remarkable for a number of reasons. An Oregon native, Alfred Carlton Gilbert supported himself at Yale University by working as a magician, sometimes making as much as $100 a night. Gilbert was also an accomplished athlete who set world records for the pole vault and won a gold medal at the 1908 Olympics in London. 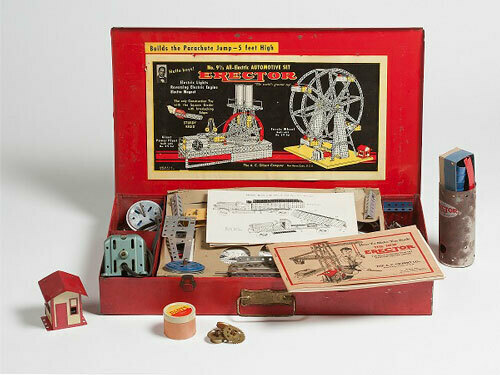 By 1907, he and a business partner were manufacturing magic kits based on Gilbert’s designs. It was in 1911 when he was taking a train into New York City that he had his greatest idea. A toy that lets kids build whatever they want to play with. Pre-World War I New York City was a gnarled mash of steel, concrete, and masses of people. The steel girders and cranes provided the nuts and bolts to what would become the Erector Set, first marketed in 1913. Gilbert and company understood the importance of marketing and launched the Erector Set with the first ever national ads for a toy in The Saturday Evening Post and Popular Mechanics. 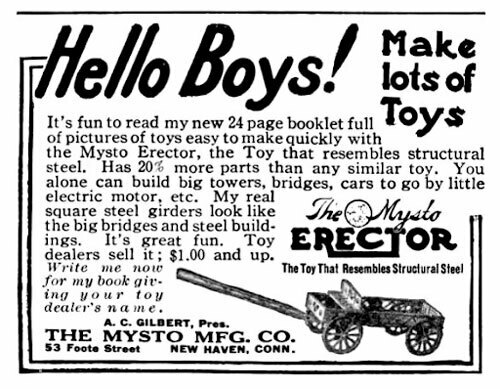 If you read the ad, you’ll notice (other than the blatant sexism) that they mention “any similar toy.” This is because, as distinctive and iconic as the Erector Set has become, it wasn’t the first. Around this time you also had the introduction of Lincoln Logs and Tinkertoys, which are also toys based around building but they are distinct from Erector Sets. No, they more likely meant another product that had beaten them to the market by some 13 years. The people behind the Erector Set had one big advantage. They saved Christmas. Also, motors. Americans love motors. And possibly subterfuge. Estimates for the market share Erectors Sets had in the 1920s over similar construction-style toys. The most notable competitor to Erector Sets in America had aimed to make mechanics easy. They found that goal to be anything but. 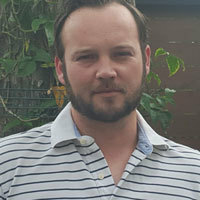 Frank Hornby from Liverpool, England founded a company to make and market his new toy “Mechanics Made Easy”. And to cut to the chase, describing the toy is a lot like describing an Erector Set. By 1908, Hornby had patented his product in Europe and created Meccano Ltd. He was doing brisk business in many countries but still had yet to crack the American market. In 1909 or 1910, he allegedly found one. Can you see where this is going? This information is apocryphal at best and comes from a British-based hobby website with no other reliable confirmation. The specific page on the early history of Meccano in America reads like it was written by someone with a very specific ax to grind. Hornby allegedly had an agreement with A.C. Gilbert to important Meccano sets into the U.S. for distribution. Less than three years later, Gilbert had founded and launched Erector. Gilbert is said to have actually distributed Meccano sets in the early years, which just raises the possibility he used the profits to found his own company. Whether any of this is true, who knows? Still, it does kind of make sense. Gilbert’s earlier success with magic kits was based on existing tricks he had learned as a child. He didn’t develop new tricks. If Gilbert had copied Meccano rather than find inspiration in the New York skyline, he at least had the good sense to distinguish Erector in a uniquely American way. Erector Sets came with an electric motor. The number of parts in the first Erector motor, known as “Model 56” which had to be assembled by the user. This model only lasted one year until it was replaced in 1914 by a fully assembled version. Due to its domestic production and marketing, Erector Sets started establishing itself as the premier American construction/educational toy. Sales rose steadily but by 1918, as America entered the first World War, Erector and other toy manufacturers were at risk. Congress lifted the moratorium and Gilbert was hailed in the press as “The Man Who Saved Christmas”. (As a side note, I would like to add that of all the honorary monikers that one can have bestowed upon a person while living, i.e. the Queen of Soul, the GOAT, the King of Rock n’ Roll, or World’s Best Dad, “The Man Who Saved Christmas” would be pretty sweet.) There’s even a musical production based on the story obviously titled, “The Man Who Saved Christmas”. The marketing power behind Erector, combined with the war and economic troubles in England, Meccano was unable to compete. Hornby desperately attempted to crack the American market, going so far as to create his own factory in Elizabeth, New Jersey. None of it worked and less than a year after the factory opened, he sold it to Gilbert. Soon after that, Gilbert licensed the Meccano brand from Hornby and consolidated the American market for construction based toys. 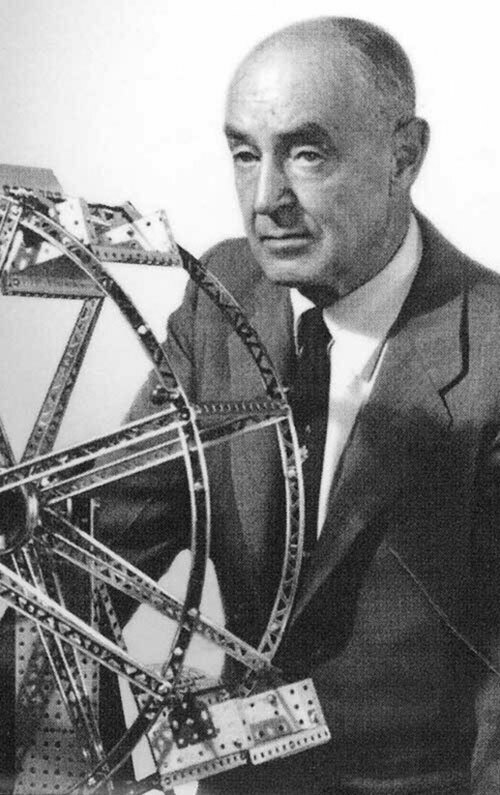 By the mid-1930s, Gilbert had sold more than 30 million Erector Sets. The company soon expanded into other educational toys, including microscopes, chemistry sets, and model trains. The story of Erector Set and Gilbert from this point largely reflect American history in the mid-20th century. Success, then hardship through the Depression, more trial during the Second World War, and a renaissance throughout the 50s and early 60s. When Gilbert passed away in 1961, the company lost its direction and sales plummeted. Erector Sets would cease production in 1980. 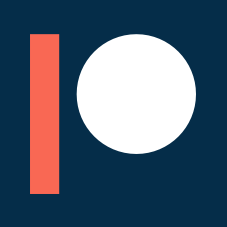 Then, someone decided to buy the brand. Meccano had been operating successfully outside the U.S. successfully since the 1930s but ran into issues in the early 60s much like Erector had. It bounced around financially but was still innovative, including electronic components to their sets in 1970. After a series of corporate buyouts and mergers, Meccano found a home with Japanese toy manufacturer Nikko Toys. The company stabilized and in 2000 bought the Erector brand. The remaining legacy of Erector Sets and that of A.C. Gilbert seem to be based on a hefty amount of nostalgia. I’m not innocent of this myself. While I’m from a generation more likely to play with Lego and video games, I was a pretty big fan of The Sandlot. Gilbert’s House Children’s Museum, as near as I can figure, is not endowed by the Gilbert family. Instead, it was the will of the people of Salem, Oregon and a guy named Martin Morris. The facility eventually became home to the National Toy Hall of Fame in 1998, included in the original induction class… the Erector Set. The original induction class also included Crayola Crayon, Barbie, the Etch A Sketch, and marbles. Marbles? You mean like reasonably rounded stone pebbles that could conceivably be found anywhere on Earth? Yeah, that makes a way better entry for world’s oldest toy than the stick. Find this one an interesting read? Share it with a pal! And we'll see you next week. Cheers!